DetectaChem is a Texas, USA-based privately-held and DEA licensed company and manufacturer of rapidly deployable, handheld, intelligent, and easy-to-operate detection systems deployed globally. DetectaChem specializes in trace explosive and narcotic detection with highly accurate and patented automated colorimetric technology. The products are simple to use and maintain, yet sophisticated in function and design. DetectaChem products are used by every branch of the Department of Defense, TSA, DEA, FBI, Customs & Border Patrol and state and local law enforcement and first responder agencies across the U.S. and around the world. 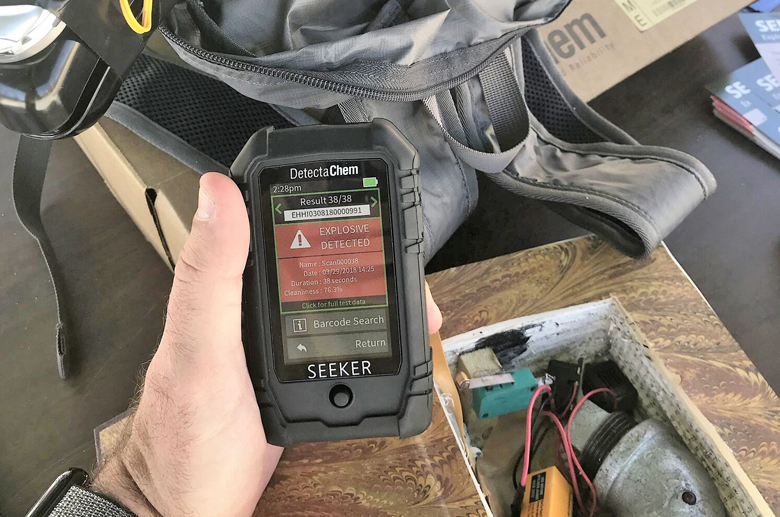 The SEEKERe™ is the global standard for trace detection technology and is the sole selected Next Generation Hand Held Explosive Detector for the United States Navy. 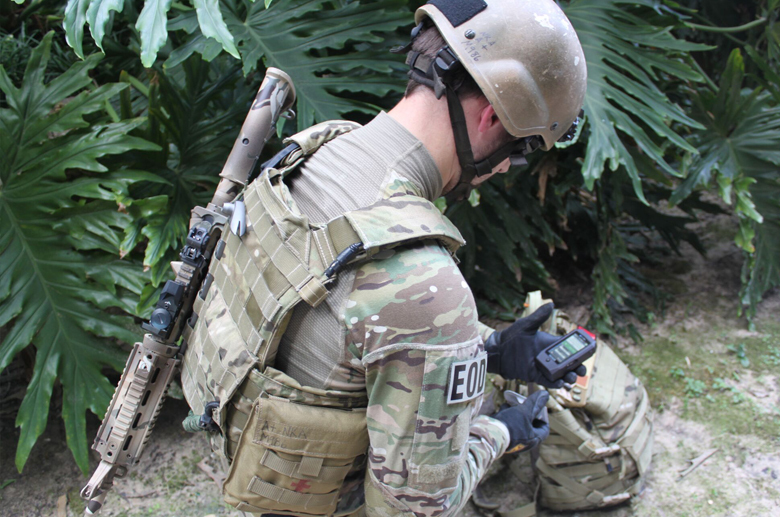 The SEEKERe™ EDK (Explosive Detection Kit) represents the cutting edge in portable, ruggedized, battle-ready explosive detection with simple, video-guided operation, MIL-STD-810G certification and an IP66 rating. Patented automated colorimetrics provide accurate trace detection for nitroaromatics, nitramines, nitrate esters, HMEs, inorganic nitrates, peroxides, chlorates and derivatives in a single test. 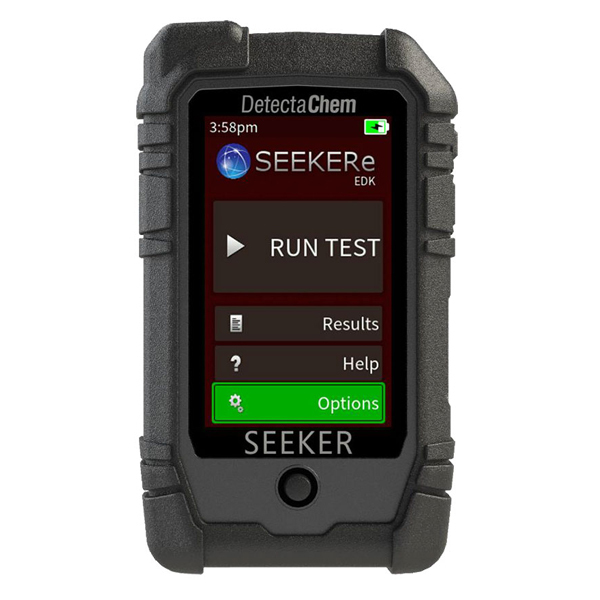 The SEEKERe™ MDK (Multi Detection Kit) and SEEKERe™ DDK (Drug Detection Kit) add trace drug detection capabilities for fentanyl analogues, heroin, cocaine, methamphetamine, THC, synthetics and more. 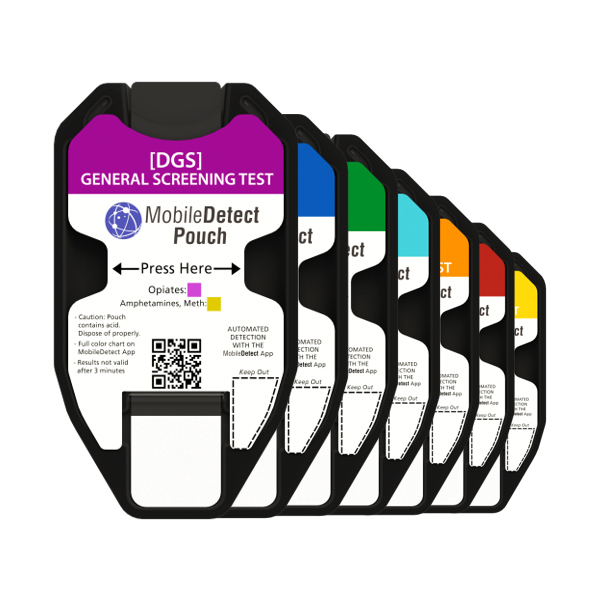 MobileDetect™ is the latest DetectaChem product and is evolved from the same technology used by the SEEKERe™ converting Apple or Android phones and tablets into trace drug and explosive detection tools. 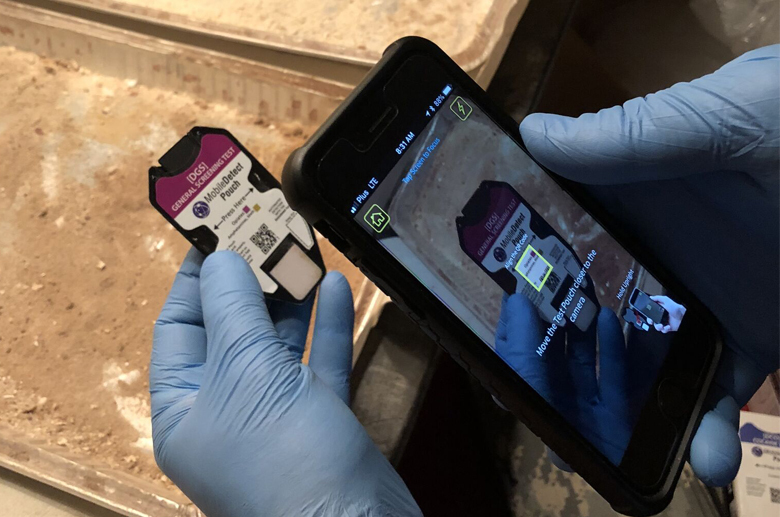 MobileDetect™ enables law enforcement, bomb squads, hazmat teams and other first responders to quickly and easily assess and detect bulk or trace amounts of fentanyl analogues, heroin, cocaine, synthetics, THC, various explosives and more at nanogram level. MobileDetect™ represents the long overdue next generation of the low cost field test consumable that hasn’t evolved in over 30 years. The proprietary smart device application allows for automated results with no user interpretation, wireless and cellular result reporting via text message and email, GPS mapping, picture and note taking and much more. 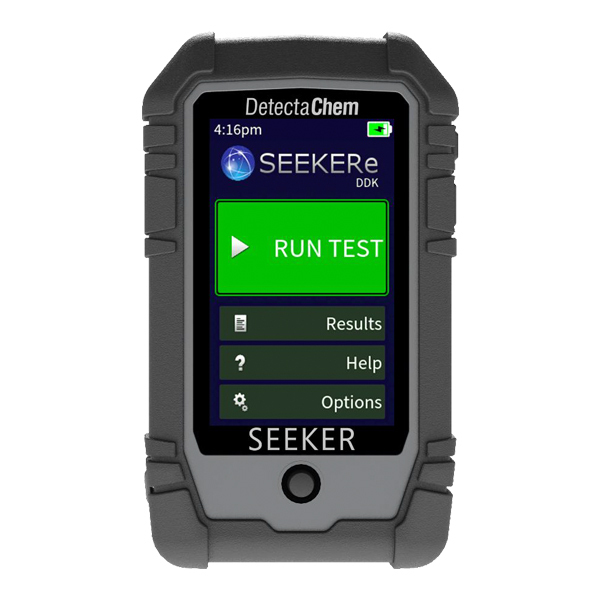 Everything on the Federal Resources DetectaChem SEEKERe EDK has been engineered to meet military requirements and to be the go-to handheld detector for forces around the world. Browse all DetectaChem equipment in our online store.